Downloads, FAQs and links to helpful information about Dominator Safes, as well as general safe and security topics. With the answers to these questions, you can quickly narrow down the suitable options and browse only the relevant products on our page. There is no single type of safe that is always the best choice. While in-floor safes do offer complete concealment, a major feature that most other safes do not, there are also many features that you cannot get in an in-floor safe. A cash rating is a term used to try and measure the level of security offered by a particular safe, based on the materials, strength and locking devices fitted. These ratings enable you to easily compare different safes and what level of security they will provide. While there isn’t any official body that applies certified cash ratings to safes, the manufacturers do make reasonable assessments based on industry comparisons to try and apply an accurate figure. There are many different types of locks used on our safes, so you will need to identify the model of safe in order to obtain the correct operating and combination changing instructions. Dominator Safes have provided links to all of the common types of locks used on our safes under the ‘User Guides and Instructions’ heading to assist you with the relevant procedures. If you need any further assistance, feel free to email us or contact your local Dominator Safes dealer. 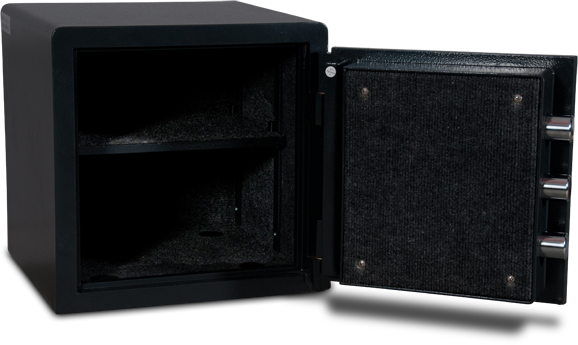 Every Dominator Safe is designed to be installed in one way or another, even the extra heavy ones. 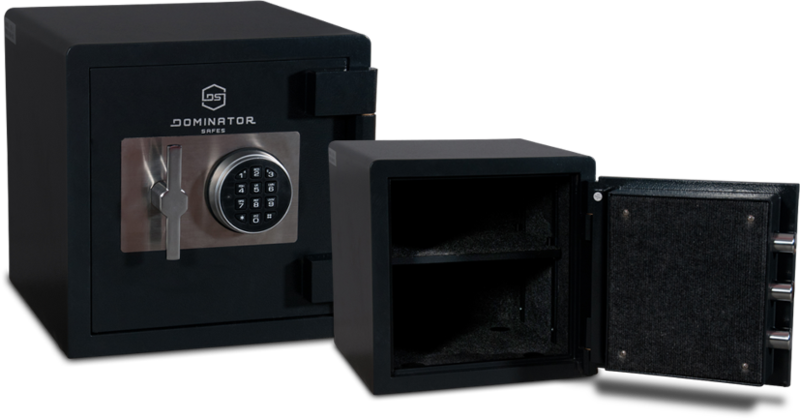 This is because it does not take much time to correctly install most safes, but it will eliminate the possibility of easy removal of the safe in the event of an attack. We always advise that a safe should be installed, whether ou have timber, concrete, brick or any other surface in the location. A fire rating is a reference to the level of protection a safe offers the contents of a safe against fire. Most rating are described as a combination of temperature and time to give an accurate and easy to understand indication as to the level of protection provided. As an example, Dominator Safes has safes that are certified to comply with the CNS Class 350F 105 minute rating. 350 degrees fahrenheit is the point at which paper will get damaged from heat. With the testing furnace heated up to over 1300F, the internal compartments remained below 350F for 105 minutes. You can use this information to detirmine if the provided fire protection is adequate for the intended application.